Euc Rivers:-well most rivers have been running well with good rain over the weekend. 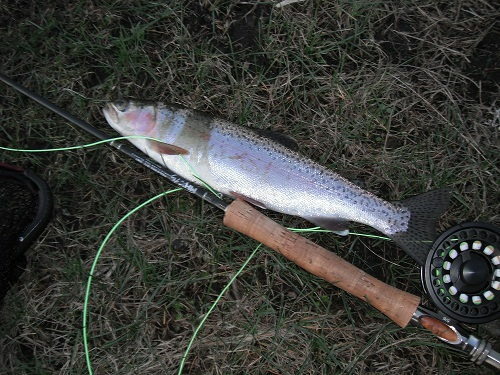 most off the rainbows have moved back down to the Lake but you will finned them in patches up the river so take your time and have a good look. Most fishermen are finding them in the deeper holes below the runs with the warmer weather moving in you will find fish starting to move up to the top this would be a good time to start using a few Dry flies though the day B/H Nymphs with a indicator will work well. Spent 5 days staying at Buckenderra recently with patchy fishing. We fished Lake Jindabyne first with wooly buggers doing most of the damage. 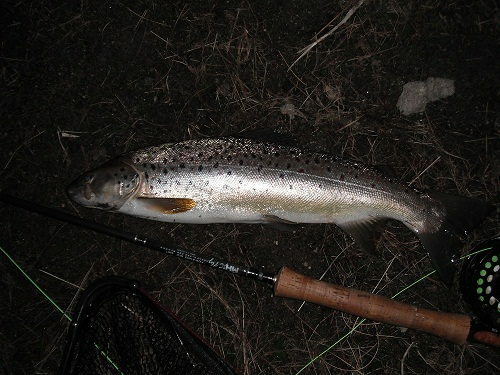 Joe managed a 3.2lb (live weight) brown which he landed on 4lb tippet. My comment when he was tying it on was ‘your bloody mad’ two minutes later I heard a call from up the bank of ‘I’m on’. Paul hooked and lost 2 really big browns one of which was extremely thick and probably would have been every bit of 5 or 6lb. All the browns partook in some pretty impressive aerial displays more reminiscent of rainbows. The boys left the next day and I fished Lake Eucumbene for the following few days. I had one afternoon fishing where a lot of big browns came into the shallows chasing midge and little stones that were being blown off one particular bay across the water. At its height there were fish rising from the tussocks up to 200meters off shore some of which were leaping completely free of the water. I only managed three fish for the afternoon but it was still exciting nonetheless. The rest of the trip I only managed 1 or 2 fish a day. Browns dominated the catch with only a couple of rainbows caught for the trip. 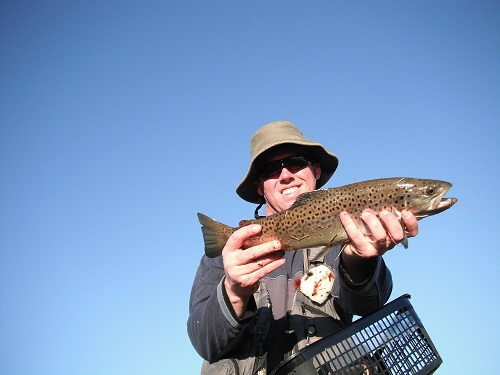 Lake Eucumbene:- fly fishing around Euc is still going well with most fishermen fishing close to shore and getting good Results. Just Remember you must go looking for them standing in one spot won't help. there have been a few Mudeye’s about so late in the afternoon start trying some Muddler patterns. 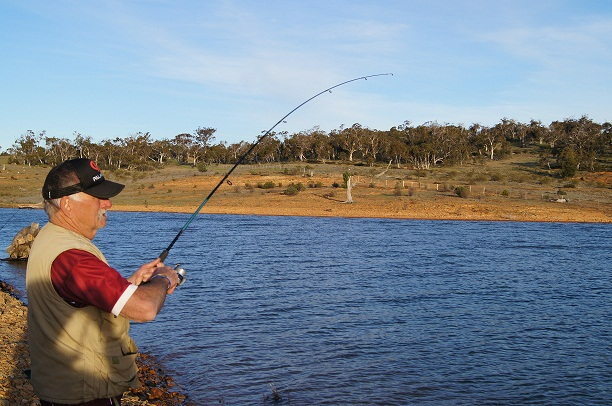 CALF 21st Annual Fishing Competition: Buckenderra Holiday Village – Lake Eucumbene 19th – 21st Oct. 2012. Cobbitty Aids Leukaemia Fund’s 21st Annual trout fishing competition was held from 19th to 21st October at Buckenderra, Lake Eucumbene. The event was held over three days from Friday to Sunday, with the dinner and auction held on the Saturday night. A record 132 people entered the competition with several there for the social aspect rather than serious fishing, never the less 74 anglers weighed in fish with 150 rainbow trout and 131 brown trout caught averaging 680 grams clean weight. There was a much higher proportion of brown trout caught in this years’ competition than in previous years. 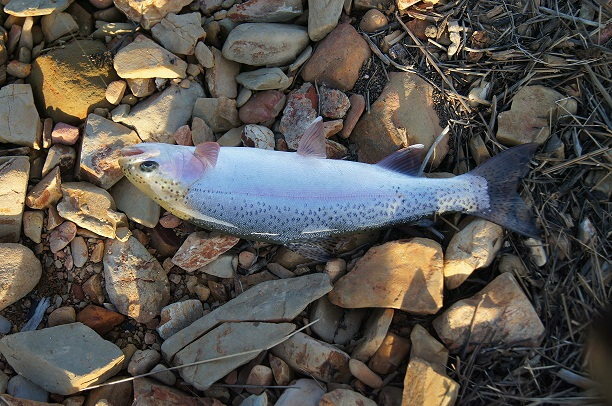 The largest Rainbow Trout caught was 904 grams cleaned caught by Dave Boys. Largest Brown trout weighed 2380 grams cleaned caught by Adam Quinton. 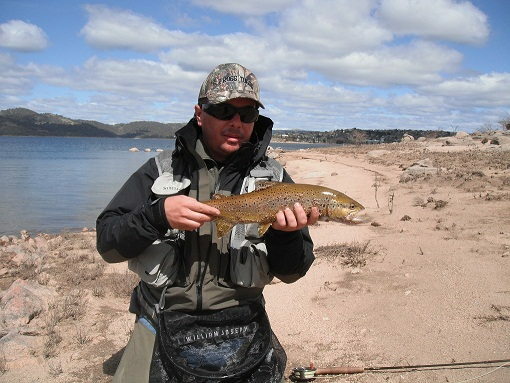 There were five brown trout over 2 kilograms weighed in. The winner is judged on the best five fish for each angler, with 10 fish allowed to be weighed in over the three days per angler. This year’s competition winner was Andrew Ventner with five fish weighed in at 6881 grams. This was Andrew’s first win in the competition and was a record for the competition. Junior winner was Dominic Forward with five fish weighed in at 6367 grams which was second place overall which was a great result. 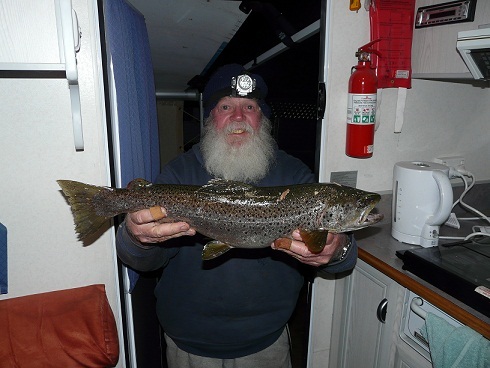 The fishing and weather were great over the first two days with several competitors bagging out each day though windy conditions on the Sunday prevented many competitors from fishing and reduced the. number of fish caught. Fish were caught by trolling with a wide range of lures working well and the bait fisherman had most success using worms and power bait. This year’s event raised over $10000 for R.P.A Haematology Unit, Sydney for research and patient care and included over $6000 raised at the auction. The event is held every October at Buckenderra Holiday Village. The generosity from the fishing and boating industry is overwhelming. 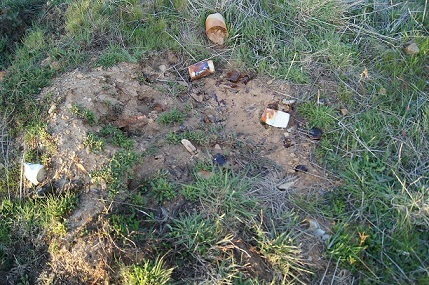 First pic is of rubbish left by other campers..not good enough!! !These people are giving us fair dinkum fishermen/campers a really bad name and in some cases I've heard of fishermen being told to pack up and leave certain areas!C'mon people,clean up your act!!!! The fishing was OK on Friday night,we caught a nice rainbow and got tree'd by a couple of others.Saturday the wind picked up and the fishing stopped!We tried worms,power bait,mudeyes and fly fishing but with no success.We picked up a rainbow on saturday arvo on power bait and then nothing else.Still great fun!!! !